Maria Elexine Welburn was born circa 1851/1852 in the farming community of Blackwater. She is Mary & George's 6th daughter to survive to adulthood. Maria is presumed to a twin of her newly discovered sibling Anna. 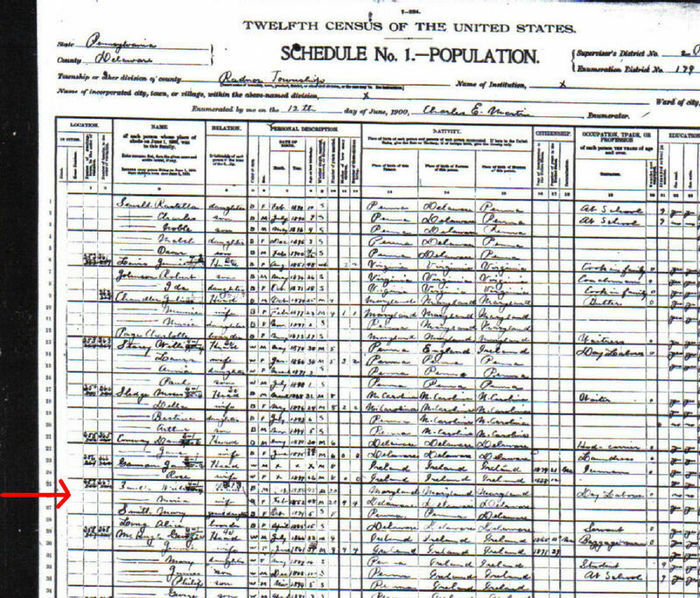 Because the entire neighborhood of freed and freeborn persons was skipped during the 1860 Federal Census, Maria never appears in the Census with the Welburn family. 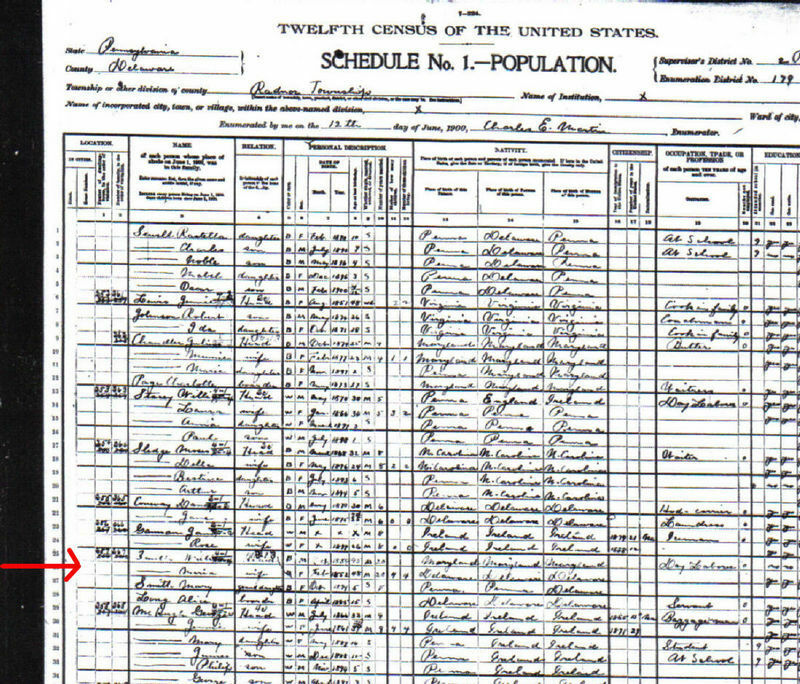 By 1870 Maria is newly married to Maryland native Charles Williams, has 1 daughter, and is living next door to her parents, but she is using her middle name, "Elexzine". However by 1880 Charles is dead (or has left) and their children are in the care of various Welburn aunts and uncles. Following her sister-in-law Hetty's example, Maria goes north to Philadelphia to find work. She also finds a new husband, Maryland native William Henry Smith. They are married on July 8, 1880. At the time of their marriage, William resided in Chester County, but they moved to Radnor, and then eventually resided at 35 W. Spring Avenue in Ardmore, PA.
Maria Welburn-Williams-Smith died February 27, 1920. She reportedly had 4 children. WHITE=CHILD OF MARIA & CHARLES; RED=GRANDCHILD OF MARIA; PURPLE=GREAT-GRANDCHILD; MINT=2XGREAT-GRANDCHILD; ORANGE=3XGREAT-GRANDCHILD; BLUE=4XGREAT-GRANDCHILD; YELLOW=5XGREAT-GRANDCHILD; GREEN=6XGREAT-GRANDCHILD; ADD ANOTHER "GREAT" TO KNOW THE RELATIONSHIP TO MARY & GEORGE WELBURN. c. James Henry Williams Jr.
ii. Kenneth E. Jones Jr. This page was last updated 9/11/2015.